If you have one of the new convertible laptops, you may have noticed your apps run a little differently in tablet mode. There are a few reasons for that: touch, voice control and gesture recognition. With these new ways of interacting with your computer, you'll find yourself easily using your computer in different places--cooking with recipes in the kitchen, getting caught up on the news in your favorite chair or watching your favorite shows in bed. Here are five free tablet-friendly Windows 8 apps that make your convertible laptop even more useful. 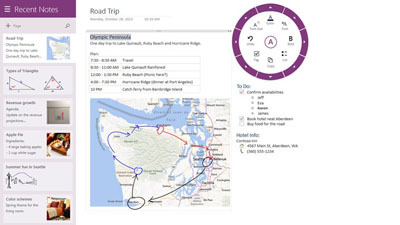 Microsoft’s popular digital note-taking application is so useful because it easily syncs across multiple devices and platforms. You can type a reminder on your laptop and have it appear on your mobile phone or tablet through the use of SkyDrive. Create notes by drawing or writing on a tablet and then tagging your notes for easy access later. Following recipes on your laptop or tablet is a game-changer for many of us novice cooks. We now have access to hundreds of thousands of recipes at our fingertips — but oh, those sticky fingertips! Just when you need to swipe to the next screen for the cooking instructions, you find your fingers caked with dough or chocolate. 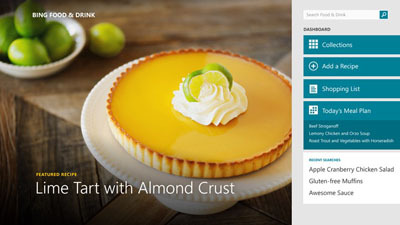 Bing Food & Drink’s hands-free mode takes the messiness out of tablet use in the kitchen. Navigate step by step through each screen of the recipe with a wave of the hand. If only you could make dishes disappear this way, too. If you’re constantly checking the latest news headlines, a news aggregator is key to keeping up. News Bento offers a clean look and has enhanced live tile support so it displays the latest headlines right on your start screen. Choose from categories like entertainment, tech or politics, so you see only the news you’re interested in. Articles are laid out in an easy-to-swipe magazine-style format, culled from various news sources. News Bento works well with a mouse and keyboard but is greatly enhanced and simple to navigate by touch. It’s also a great app to use in Snap view, so you can keep it open on one side of your screen while doing email on the other. Microsoft’s Fresh Paint app for Windows 8 works with a keyboard and mouse, but touch is what makes this app shine. 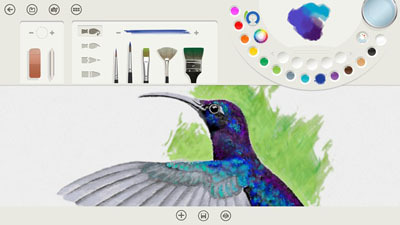 Like the original Paint program on every version of Windows, this program makes use of different brush textures and sizes. You can use your finger just fine — but if you use a stylus, you get amazing control. Choose from different formats or palettes and let your inner Van Gogh dazzle. What better way to use your tablet than for a little entertainment? 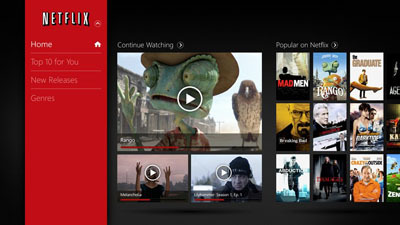 Netflix, the subscription video streaming platform, updated its app for Windows 8 so that it supports profiles. Whichever family member is logged in sees their own queue and personalized recommendations. 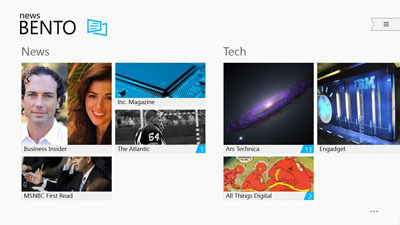 The app also features a redesigned user interface built for Windows 8 that makes the most of the tile display. Swiping through the offerings feels completely natural, making Netflix a fun option for streaming or second screen browsing.